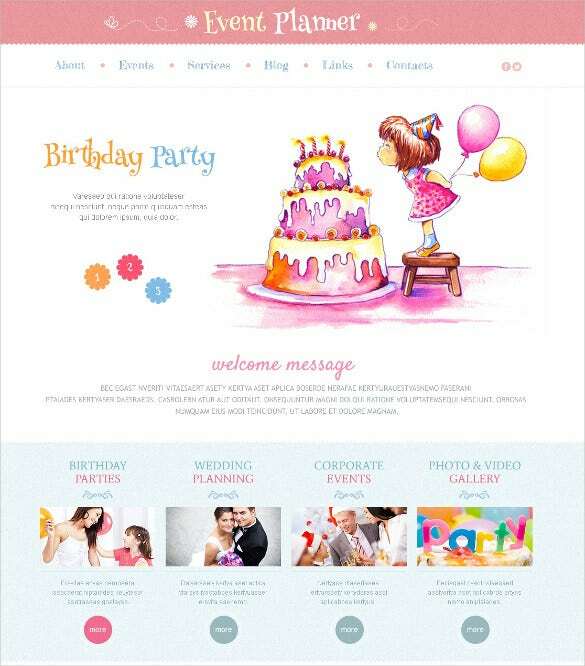 Most of the website template developers offer top class wordPress, Joomla, prestaShop, Magento, openCart, Moto CMS event blogging themes and templates. 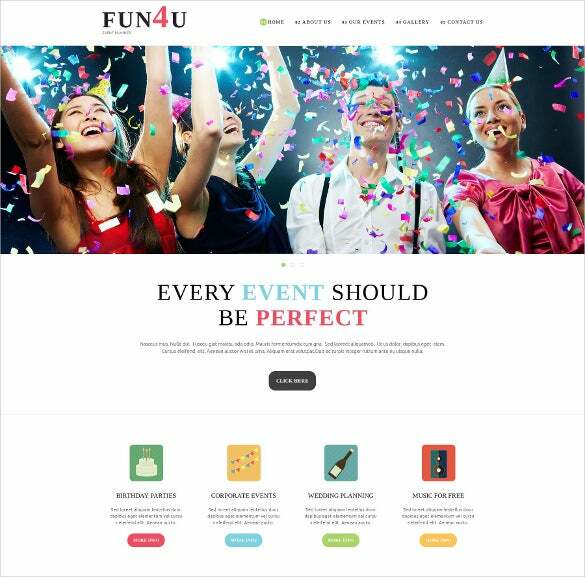 The premium designs are powered by bootstrap framework along with a responsive layout making the website adaptable for all screen sizes.You may also check Event Joomla Themes. 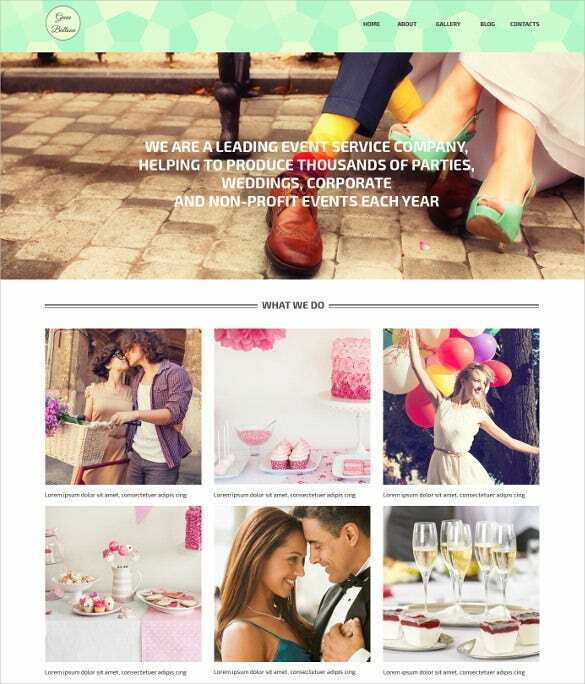 This is a theme based template with a focus on any kind of corporate Event. 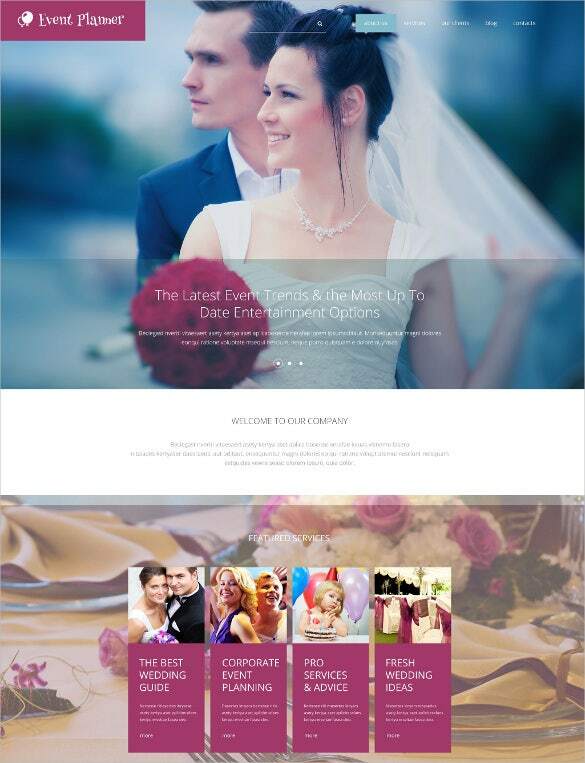 This theme allows you to choose the venue, date and other important aspects of Corporate Event organization. 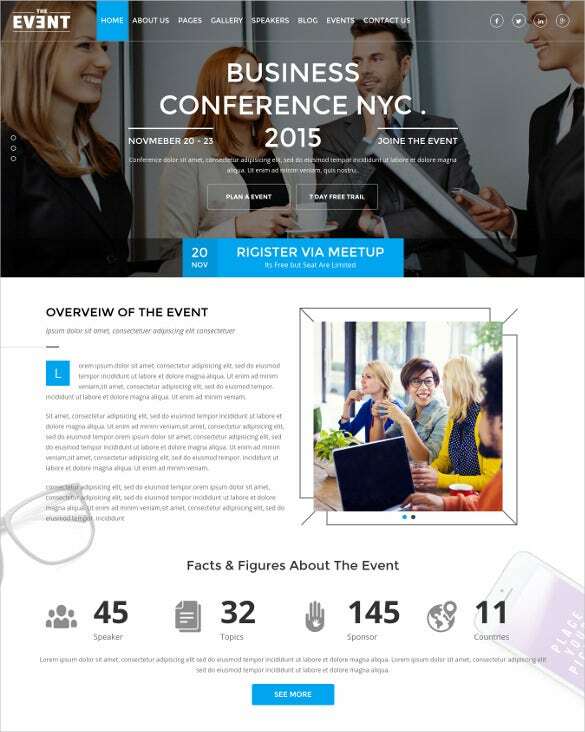 This is a slick responsive template for any business conference event management blog. 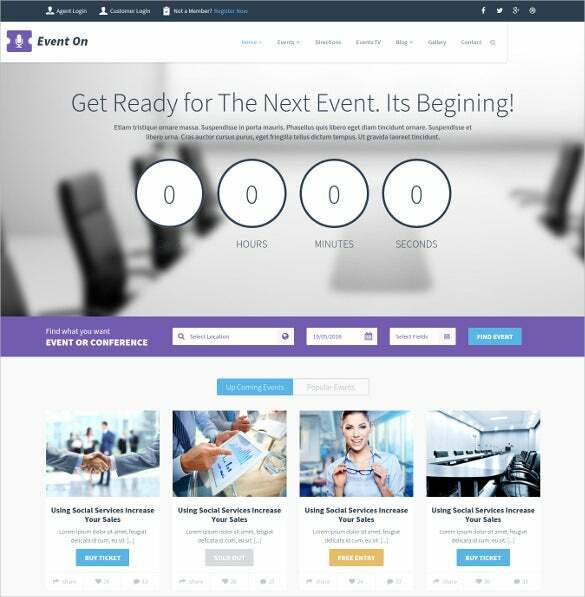 It provides you with all the details of the event including the agenda, sponsors, Speakers etc. 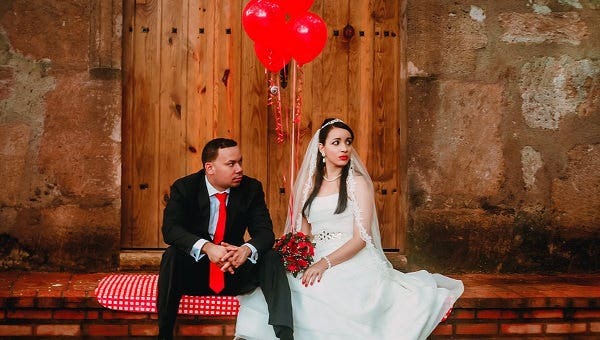 This is a perfect wedding blog template to showcase the testimonials, photographs and all the other memories associated with the most beautiful day of your life.This is a perfect wedding blog template to showcase the testimonials, photographs and all the other memories associated with the most beautiful day of your life. 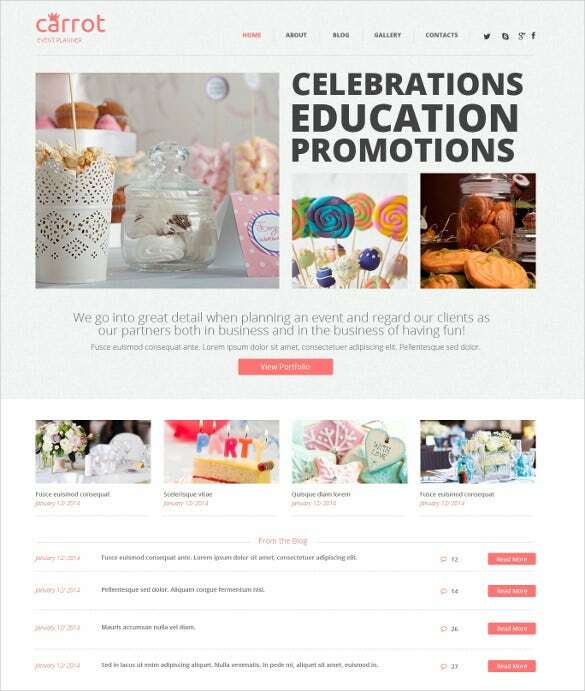 This Event planning template takes care of the nitty-gritty’s of all types of events including Birthday Parties, Corporate events, Wedding planning etc. Because every event in your life should indeed be perfect. 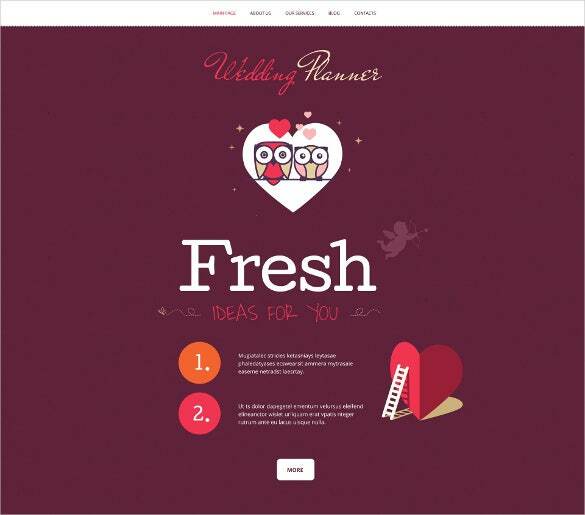 Explore this Free Anniversary WordPress Blog Template for highlighting all the important aspects of an Anniversary event in the most sleek and inclusive manner. 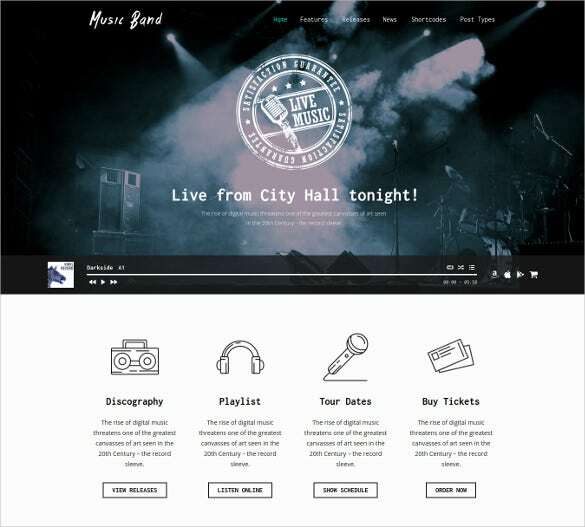 This is a contemporary template to showcase the details of a music band’s live events. 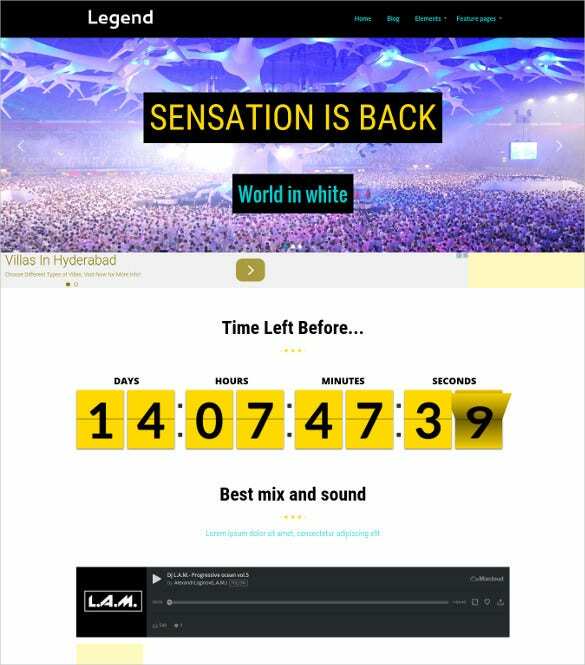 It has a whole list of attributes in it like tour dates, ticket availability, playlist etc. 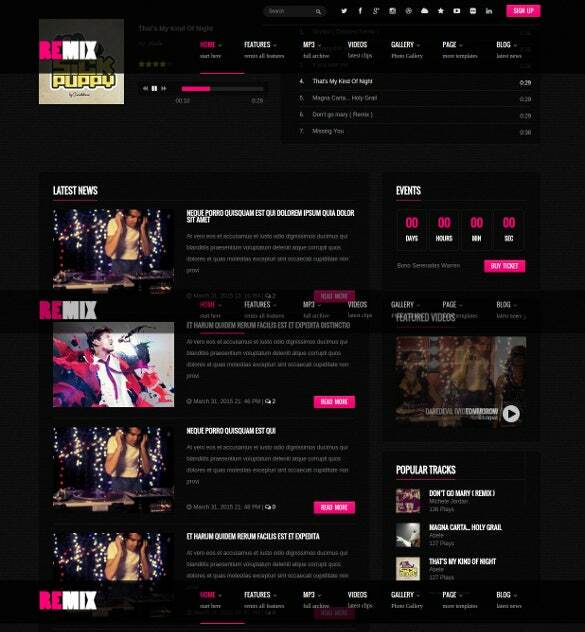 This responsive event and music blog template can be used for the organization and promotion of any kinds of musical and other events. 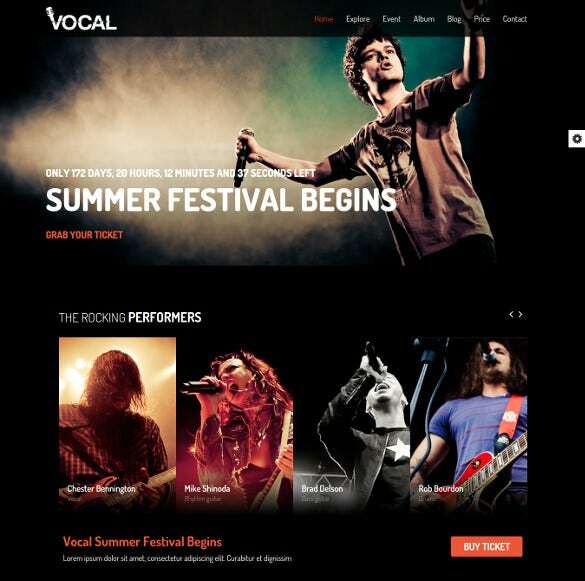 It showcases the performers, buy tickets and similar other details that you need to know about an event. 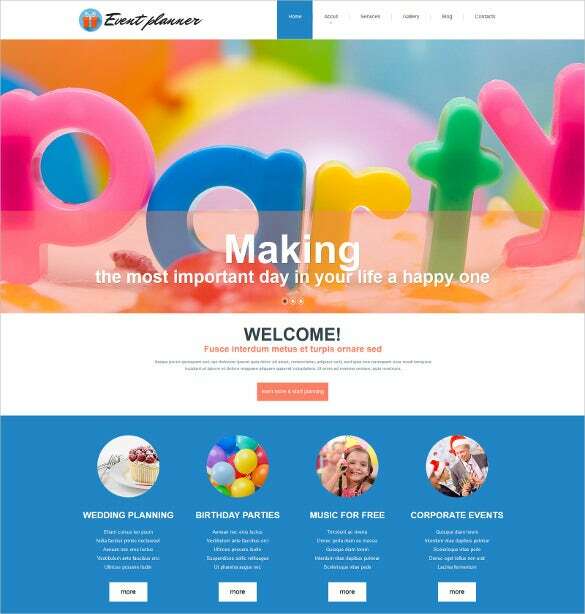 This peppy party/event planner template lets you plan birthday parties, corporate events, weddings etc. 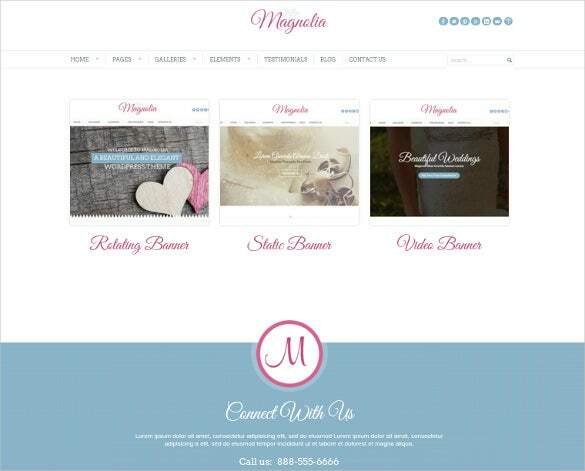 This responsive template offers a cutting edge of web technology and is yet user friendly. 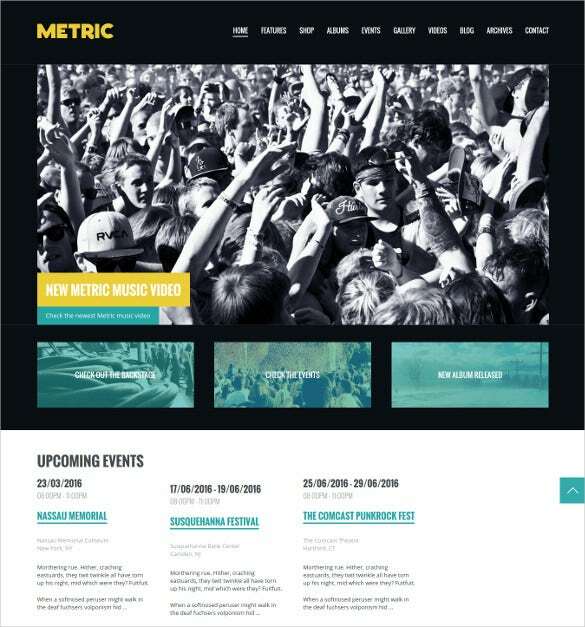 This full-screen Music event template offers a buoyant and spirited feel; that one can relate to with a live music event. It has accounts of upcoming events, backstage dynamics, upcoming albums etc. 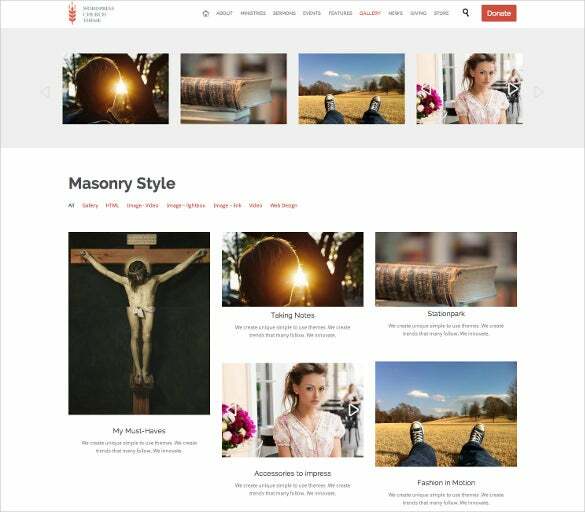 The advanced blogging options include classic and grid layout options, audio, video and gallery posting options, post sharing with social icons. 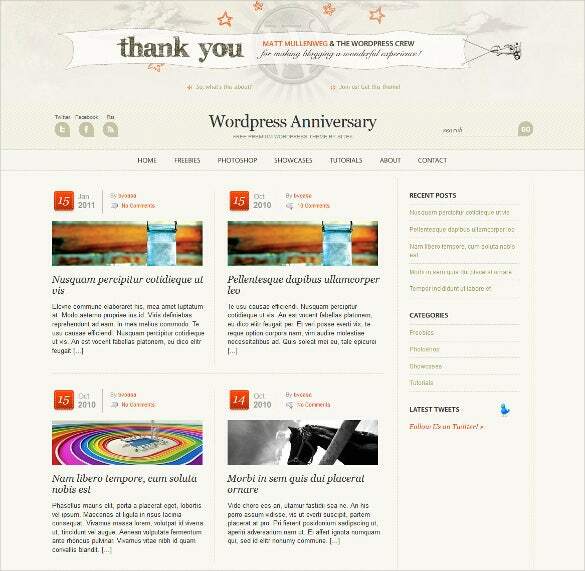 Also, these themes include theme options, shortcodes, cross-browser compatibility and visual composer page builder. 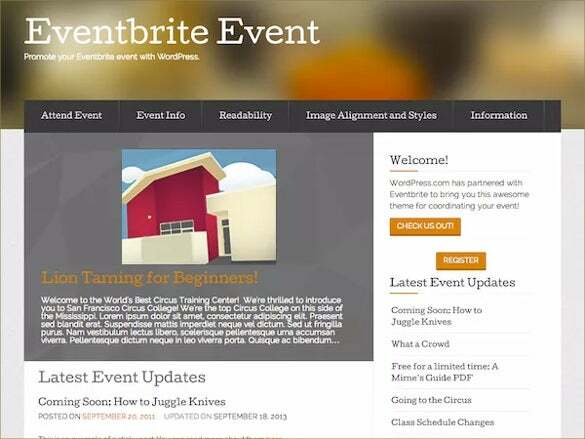 Most of these event themes are multi-purpose in functionality and has a clean and modern design.